The purpose of this page is to provide information on the Humber Strategy Review. We will be holding formal public consultation at key decision points throughout. More information on future consultation will be provided on this site as details become available. Due to the enormous economic importance of the estuary and the scale of tidal flood risk, the Environment Agency and 12 Local Authorities and the Humber Local Enterprise Partnership (LEP), are working in partnership to develop a strategy that will address the risk and enable sustainable growth now and for the next 100 years. 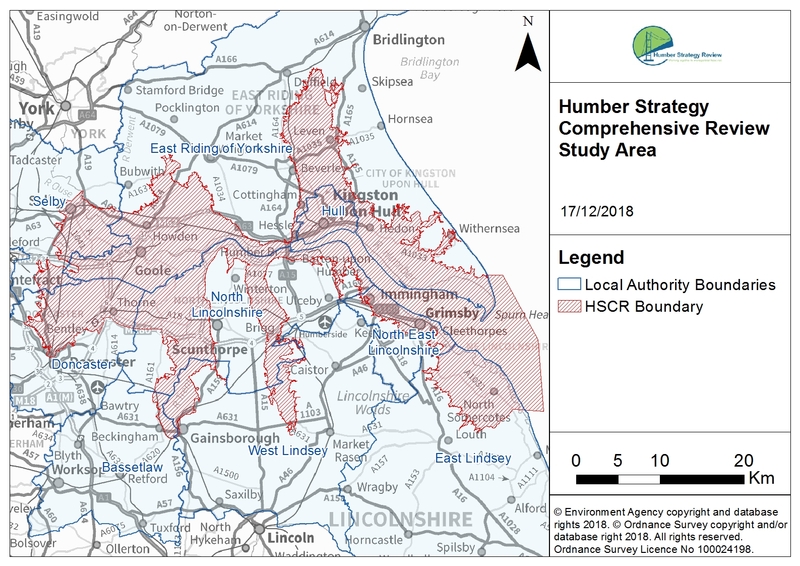 The Humber Flood Risk Management Strategy focuses on the area around the Humber where flooding from the sea is the main source of flood risk. Other strategies identify ways of managing different sources of flooding such as from overtopping of rivers and heavy rainfall. There are around 660,000 people and 73,000 businesses and 165,500 hectares of land within the Humber Strategy Review area. 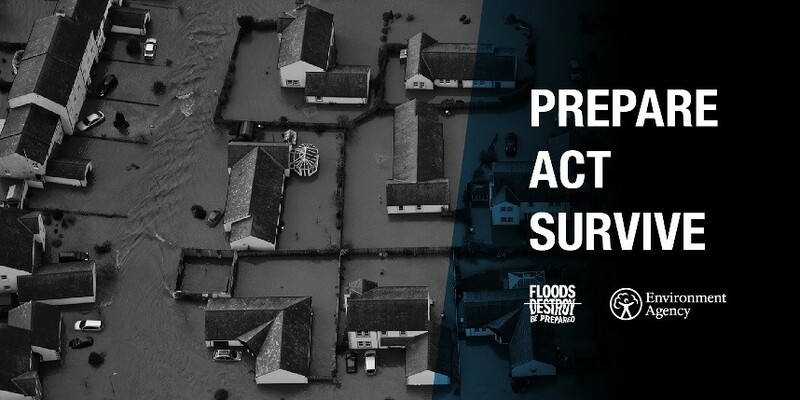 Of these, 230,000 homes, 50,000 businesses and 120,000 hectares of high grade agricultural land are at risk of flooding during an extreme flood event. The area consists of critical road, rail and pipeline infrastructure and is an important industrial area and trade gateway with an average of 40,000 ship movements per year. Its ports and wharves handle 14% of the UKs national trade and is the largest port complex in the country. The Humber is the UK's 'Energy Estuary', connected to around 25% of UK energy whether through direct generation or in the import and export of fuels, vital to keeping the UK moving. The area is also an internationally important natural asset for people and wildlife, particularly for overwintering birds, and has valuable intertidal habitat like saltmarsh which can reduce the impact of severe floods. Situated on low-lying land, tidal flood risk is a reality for many people living on and around the Humber. Although significant investment has been made to improve the area's flood defences, the risk of flooding can never be removed entirely. The effects of flooding can be devastating and with sea levels rising and storms becoming more frequent due to climate change, the Humber is at an increased risk. Because the Humber estuary is tidal, the impact of storm surges and exceptional high tides can lead to flooding well away from the coast, as additional water is pushed into the estuary. The risk of flooding due to tidal influences extends far inland along the tributaries of the Humber, and as the water tries to flow back towards the sea, large areas of low-lying land are at risk. The most serious tidal surge in recent times was on 5th December 2013 where an estimated 1,100 homes and businesses were flooded when a combination of high spring tides and a deep low pressure system caused the largest tidal surge recorded in the area in recent memory. Although the standard of protection has been improved in many places in recent years, some sections of flood defences were overwhelmed during this surge, and millions of pounds worth of damage to homes, businesses, industry and farmland were recorded. The current flood risk management strategy, 'Planning for the Rising Tides' was put in place in 2008 and took a strategic approach to managing flood risk on the Humber. By 2021 over £150m will have been invested in flood defence improvements as a result of the current Strategy, improving the standard of protection to 70,000 properties. When we developed the original Humber Strategy, we agreed to subject it to regular review to ensure that it still meets the future needs of the people, property and the environment around the Humber Estuary. The 2013 tidal surge gave us better evidence for how flood water will behave, and that has made the case for a Comprehensive Review of the Strategy. The review is being carried out by a partnership consisting of 12 local authorities from around the Humber, the Humber Local Enterprise Partnership (LEP) and the Environment Agency. We are working together, in association with Natural England and Internal Drainage Boards, to develop a strategy that will reinforce our long term ambition for a prosperous Humber with a world class economy and a world class environment, which is a safe and sustainable place to live, work and visit. We have been working to assess a number of 'strategic approaches' to manage tidal flood risk around the Humber estuary. Containing the tide, using a combination of flood defences, flood storage, and occasional large scale planned flooding, to contain water largely in the estuary. Improved resilience and changes to land use in some areas would also be required to adapt to rising sea levels and high tides. Adapting to the tide, by changing land use in some areas, to allow defences to be deliberately altered or moved back in some locations over time. This would create greater capacity for flood storage or large scale planned flooding, and allow us to respond to the fact that it may not be possible or safe to maintain or continue to raise defences where they are at present. This would be combined with continued maintenance and improvement of defences in key areas of population and industrial development. Keeping out the tide, by constructing a tidal surge barrier, most likely in the outer estuary. These three approaches are currently undergoing a thorough appraisal process which should be completed by autumn 2020. After this, the results will be used to develop a new strategy. At this stage we are being open minded and innovative about what this might look like and considering options that are feasible, affordable and will best support the area's aspiration for growth. The strategy will need to adapt to sea level rise, changes to legislation or economic factors. These influencing factors will be considered from the outset as we look at different scenarios and pathways. As with the original strategy, local people, businesses and other interested parties will be able to participate in the Comprehensive Review. We will hold full consultations at key decision points and encourage you to get involved and help us shape the future of the Humber Estuary. Details of how you can get involved will be published on this site. Climate change is one of the biggest global threats we face. Globally, intense storms are becoming more frequent and climate change is already increasing sea levels around the UK coast. Although we work tirelessly to reduce the risk of flooding, we can never eliminate the risk completely. With large areas around the Humber at risk of tidal flooding, it is important for us to work together to ensure that communities and businesses are better prepared for flooding. 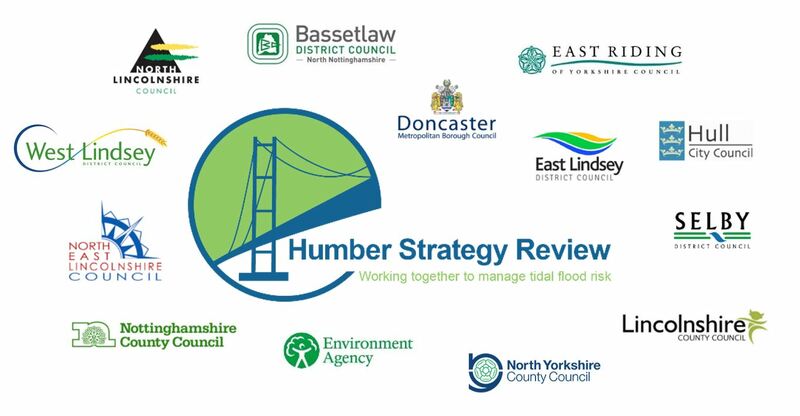 In order for the Humber to thrive and continue to be a great place to live and work, the partnership is dedicated to working with partners and the wider public to help lessen the impact that flooding can have on homes, land and businesses on and around the estuary. We will be seeking your views at key stages throughout the development of the Strategy, to ensure that the public have had a chance to help shape the resulting strategy. Check back soon for details of future events!